Virtual Reality Gaming Coming Soon? When I thought of the future as a kid, I had two things in mind. Hoverboards and virtual reality gaming. As 2015 draws ever closer, I’ve yet to see hoverboards on the horizon, but virtual reality gaming could be right around the corner. Oculus, the virtual reality company behind the Oculus Rift (feature in the picture below), received $16 million from investors to turn the Oculus Rift into a purchasable mass consumer product. As of right now, only major developers and those who forked over $300+ during Oculus’ Kickstarter campaign have access to the Oculus Rift. However, Oculus has started selling the Rift development kit outside of the Kickstarter campaign. Their most recent financial backers, Santo Politi and Antonio Rodriguez, aren’t the only ones who believe in the potential success of the Oculus Rift. Oculus’ Kickstarter campaign, whose goal was only a quarter of a million dollars, ended up making about $2.5 million. Let’s be honest though, the headset looks super goofy and rather uncomfortable. When I think virtual reality, I think a VR room that transforms around me. But then again, it all has to start somewhere. What do you think? 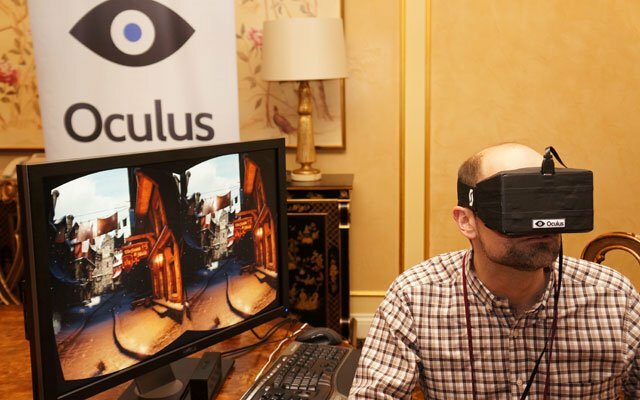 Could the Oculus Rift and virtual reality really be the future of gaming?